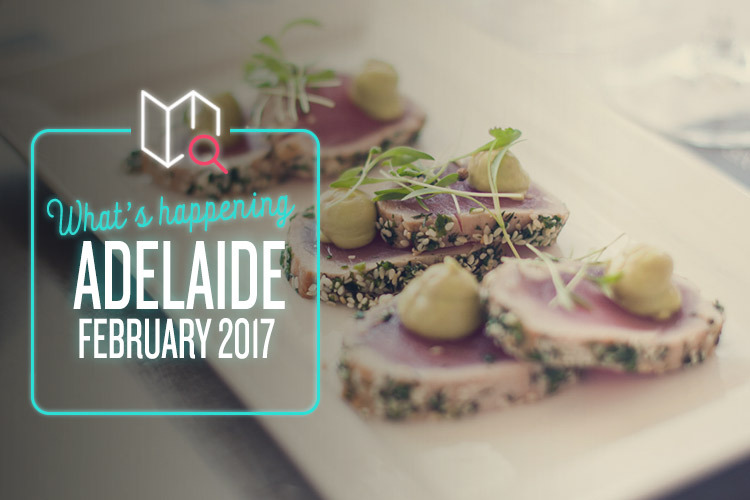 Whether it’s awesome music festivals or indie markets that get your pulse racing, Adelaide has something for you this February. Laneway is returning to Adelaide for the third year running, and this cutting-edge music extravaganza is set to rock harder than ever. The globetrotting line-up spans a multitude of genres, and features such rising stars as Sampa the Great, Tame Impala, Camp Cope, Jess Kent, Gang of Youths, Tycho, Roland Tings and Clams Casino. All sorts of bars and food vendors will be set up to fuel your day, and there’ll be plenty of music and clothes stalls to browse between catching the acts you want to see. As if that wasn’t enough, the Port River waterfront provides a stunning backdrop to everything. With over 180 local booze and food producers, a range of exclusive masterclasses, and several banquets stretched over three full days, Cellar Door Fest is one next-level wine festival. There are countless wines, beers, ciders and spirits to sample, and even an onsite distillery to give you a glimpse into the inner-workings of true boutique brewing. You can meet the creators, stock up on their wares, grab a goodie bag and sign up for loads of different events, all while stuffing your face with the region’s finest food. Sounds like a good weekend to us! It’s not always easy to find a hangout spot that meets the needs of all your mates (four-legged ones included), so the RSPCA’s Pets at the Pub is a must for dog owners across the city. It transforms the National Wine Centre into a haven of good booze and pooch-friendly fun, with enough food to guarantee a cracking lunch for everyone. Expect tons of paella and special treats for the doggos, with plenty of room to bring your own picnic too. What’s more, all proceeds go straight back to the RSPCA, so it’s all for a worthy cause. Calling all fashionistas – this one’s for you! Labels Style Market is a glorious collection of independent market stalls, all filled with boutique and unique wares. Women’s, men’s and children’s fashion is catered for, with various jewellery, homeware and accessory stalls mixed in for good measure. A wealth of South Australian designers, bloggers and stylists will be there to mingle with the thousands of eager enthusiasts, and a fabulous fashion parade is included in the day’s events. Try to get there early, as the first 250 people through the doors get a free promo bag stuffed with vouchers, samples and other lovely things. And who doesn’t love free things?